ASP.NET Core is an open-source, cross platform, .NET centric web development framework. The latest version of .NET Core and ASP.NET Core has been released by Microsoft, as .NET Core 2.1.0 and ASP.NET Core 2.1.0, which you can now use in production environment. 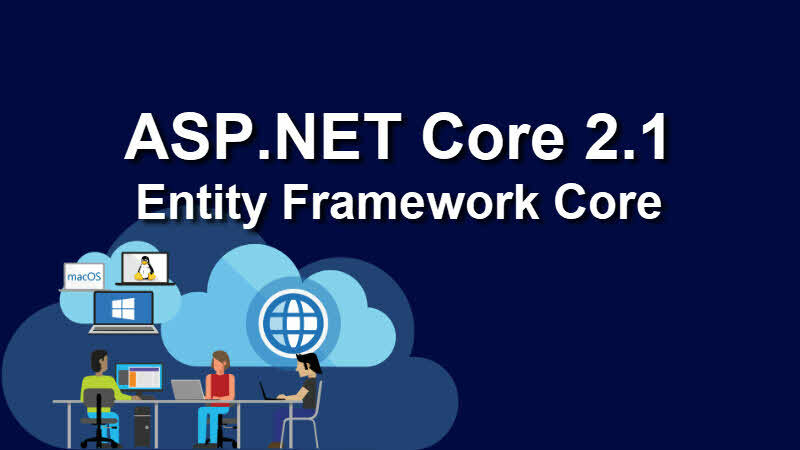 Continue reading to know what has been changed in ASP.NET Core 2.1 and Entity Framework Core 2.1, along with the links to download. What's new in ASP.NET Core 2.1.0? SignalR – Add real-time web capabilities to your ASP.NET Core apps. Razor class libraries – Use Razor to build views and pages into reusable class libraries. Identity UI library & scaffolding – Add identity to any app and customize it to meet your needs. HTTPS – Enabled by default and easy to configure in production. Template additions to help meet some GDPR requirements – Give users control over their personal data and handle cookie consent. MVC functional test infrastructure – Write functional tests for your app in-memory. [ApiController], ActionResult<T> – Build clean and descriptive web APIs. IHttpClientFactory – HttpClient client as a service that you can centrally manage and configure. Kestrel on Sockets – Managed sockets replace libuv as Kestrel's default transport. Generic host builder – Generic host infrastructure decoupled from HTTP with support for DI, configuration, and logging. Updated SPA templates – Angular, React, and React + Redux templates have been updated to use the standard project structures and build systems for each framework (Angular CLI and create-react-app). To know more about the new features introduced in ASP.NET Core 2.1.0, checkout the What's New in ASP.NET Core 2.1 page in the official ASP.NET Core docs site. What's new in Entity Framework Core 2.1.0? Lazy loading - You can now load the navigation properties on demand using the Microsoft.EntityFrameworkCore.Proxies, which leverages the building blocks to produce lazy loading proxy classes. Parameters in entity constructors - You can use parameters in the entity constructors to inject property values, lazy loading delegates and services. Value conversions - Starting with Entity Framework Core 2.1, value conversions can be applied to transform the values obtained from columns before they are applied to properties, and vice versa. LINQ GroupBy translation - Entity Framework Core 2.1.0 supports translating GroupBy LINQ operator to the SQL GROUP BY clause in most common cases. Data Seeding - With the new release it will be possible to provide initial data to populate a database. Query types - An EF Core model can now include query types. Unlike entity types, query types do not have keys defined on them and cannot be inserted, deleted or updated, but they can be returned directly by queries. Include for derived types - In Entity Framework Core 2.1.0, it will now be possible to specify navigation properties only defined on derived types when writing expressions for the Include method. Support of System.Transactions - The ability to work with System.Transactions features such as TransactionScope has been added to Entity Framework Core 2.1.0. Better column ordering in initial migration - While performing migrations to initially generate columns for tables, it will now put them in the same order as properties are declared in classes. Optimization of correlated sub-queries - It will now avoid executing “N + 1” SQL queries in many common scenarios. Owned attribute - It is now possible to configure owned entity types by simply annotating the type with [Owned] attribute. FromSql code analyzer tool - A new code analyzer is included with Entity Framework Core 2.1.0 that detects possibly unsafe usages. You may like to read: What's new in .NET Core 2.1.0? If you have come this far, it means that you liked what you are reading (ASP.NET Core 2.1 released, along with .NET Core 2.1 and Entity Framework Core 2.1).